The month of July is around the corner and you are searching for some quotes to express your feelings about July. If yes, now you don't need to search for them anymore. As here I have compiled down some of the popular qoutes and sayings on month of july. Just hope you will like this quote compilation and find some words to express your feeling. 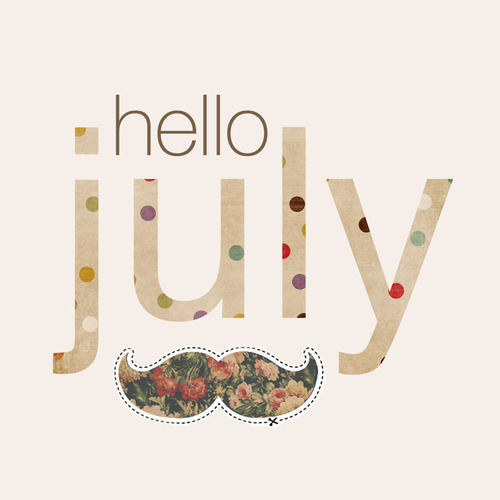 Hello July, please be good. Faith is why I'm here today and faith is why I made it through. The Summer looks out from her brazen tower, Through the flashing bars of July. Hot July brings cooling showers, Apricots and gillyflowers. If the first of July be rainy weather, It will rain, more of less, for four weeks together. What a beautiful, sunny morning. It makes you happy to be alive, doesn't it? We can't let the sun outshine us! We have to beam, too! After winter comes the summer. After night comes the dawn. And after every storm, there comes clear, open skies."